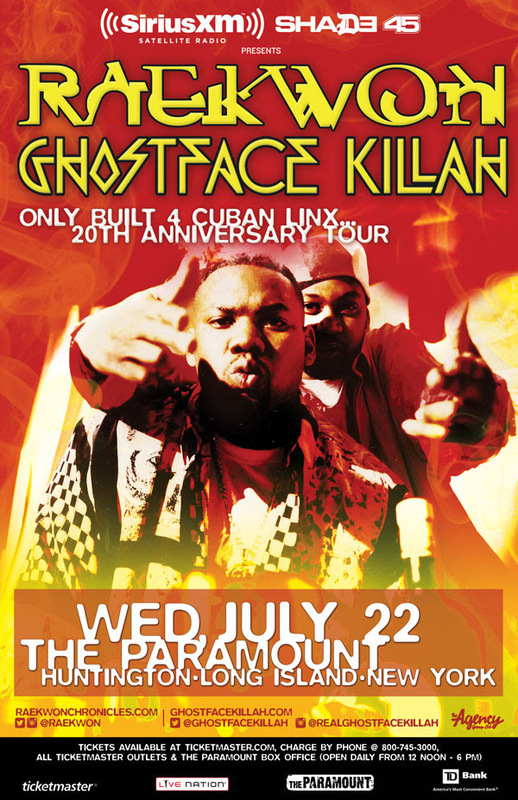 Raekwon and Ghostface Killah will be at The Paramount on New York Avenue in Huntington, Wednesday, July 22. Show at 8. Doors at 7. Presale begins at 10 AM today, goes until 10 PM Thursday. Tickets go on sale to the general public Friday, June 12. 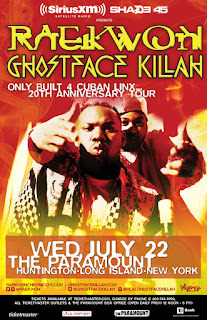 To purchase pre-sale tickets, go here and enter password PULSE. "Check it out y'all. It's the science. 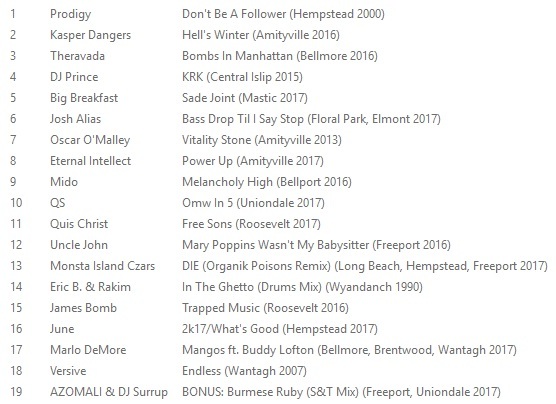 Fly wonderful Tony Starks and Lex Diamonds."